Due to our collective love of gadgets, most homes in the developed world have at least one or two power strips in them. 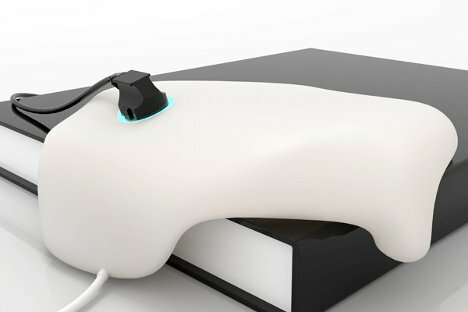 This strange blobby object, believe it or not, is a conceptual redesign of the ubiquitous power strip, but without the rigid rectangular shape. 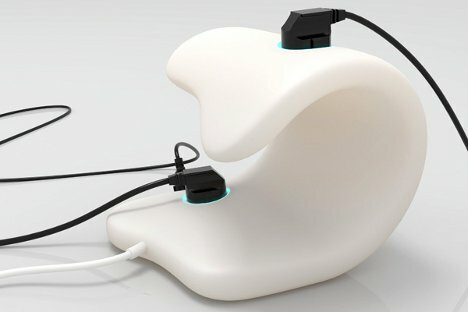 Designed by a group of students, the odd power strip is meant to be supremely flexible. Its amorphous shape can be changed at will, allowing it to fit into any space and even to span a distance such as a pair of wall shelves. Plugs can be fitted into the power blob at any location, allowing users to easily find a spot for any gadget without contorting the plug. It isn’t clear just how many things could be plugged into the blob at a time, but since this concept has yet to be built the inventors have time to figure out those details.